BBC: How can sustained investment in good youth work tackle violence in London? 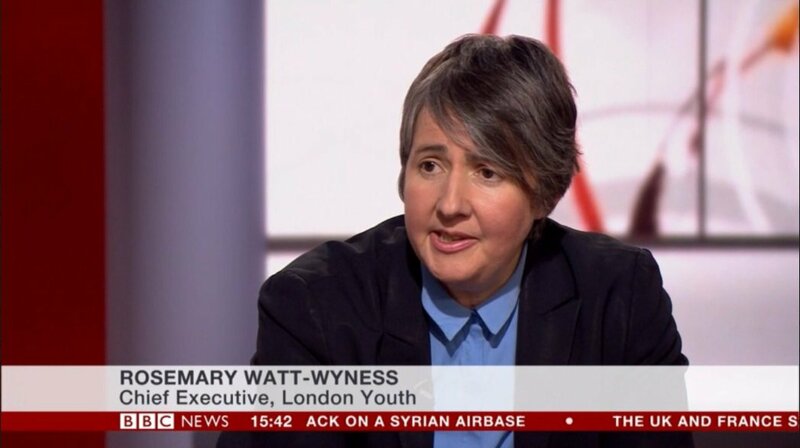 Our Chief Executive, Rosemary Watt-Wyness speaks alongside the Manager of Carney’s Community, on BBC News. They discuss the importance of long term investment and support for young people as vital way to tackle violence in the capital.